With the rapid development of ecommerce, it’s no surprise that today we’re presented with a wide selection of products across all brands and segments. Luxury goods are no exception, and although they cater to a narrower target audience, they still represent a substantial portion of online sales. And because of their high value, they rack up considerable profits. 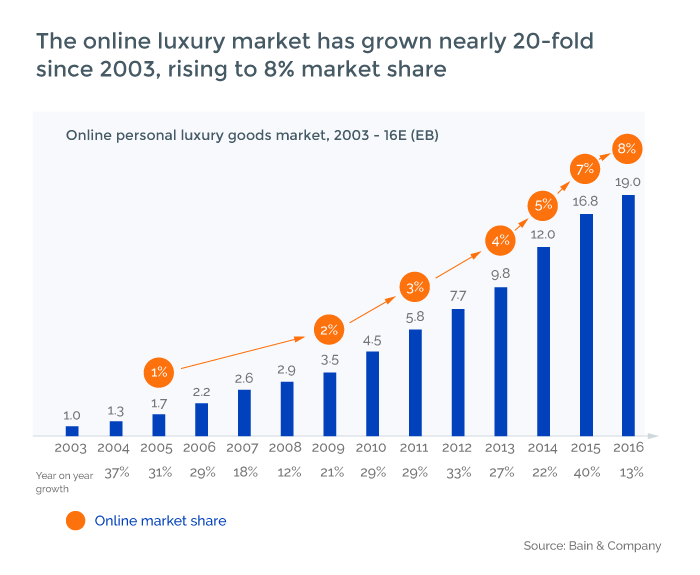 Consultancy group Bain & Company estimates that the market share of online luxury retail will reach 25% by the year 2025, which is very impressive considering the exclusivity of the segment. 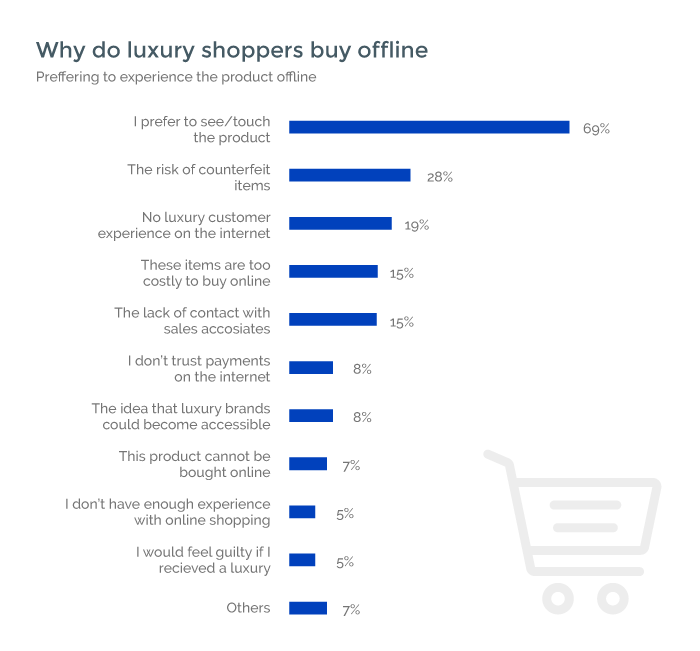 As we can see in the chart below, online luxury stores already have a significant online presence. The common misconception that remains in the high-end industry is that most luxury shoppers don’t prefer to purchase expensive items online. This belief that ecommerce is reserved strictly for lower and mid-range products is outdated. Today, the quality of service that a customer can receive online is no different than what they can receive on a visit to a luxury store – thanks to the extensive functionalities integrated into ecommerce websites. The success of Net-a-Porter, a trailblazer in the online luxury business, sparked the emergence of numerous high-end online stores and is proof that there’s a place for luxury products on the web. Google and the research center Ipsos found that 78% of luxury buyers will go online to conduct research before buying, while at the same time 69% are still inclined to go to the actual store to see a luxury item in person. Interestingly, it’s unknown how many of those shoppers will go back online to complete the purchase. Ultimately, the question of whether a luxury shopper will buy an item online or in-store depends on the experience they'll receive. In this article, we'll discuss in detail what functionality a luxury online store needs to make sales and how a store should market itself to retain its target audience. In order to understand what shoppers expect from an online luxury store experience, we need to find out more about the reasons why customers might prefer to buy at a physical location. Further research done by Google and Ipsos addressed the key concerns that high-end shoppers have when deciding between online and offline purchases. The more we know about the reasoning behind shopping online, the better we can approach the process of building an online luxury store that’s customer-oriented. However, there’s way more to know about our target audience than just why they choose to shop online or in-store. In order to create an ultimate online luxury experience, we need to understand what our target audience is most interested in when accessing a store. Based on basic knowledge we have of how to successfully organize an ecommerce store, we’ve compiled a list of essential functionalities that the average shopper expects to see. Let’s take a look at each functionality separately to see what value they bring to the luxury experience. After the landing page, the first thing any store visitor is interested in seeing is a product catalog. For example, if the store in question specializes in clothing, it should have standard categories such as women’s clothing, men’s clothing, shoes, accessories, kids, and so on. A good luxury store has to extend those categories and add something that’s not usually seen in lower and mid-range ecommerce shops – for example, jewellery. The key feature that distinguishes a luxury ecommerce store from a regular store is the option to search by designer. There are two ways to implement this: with a Designers A-Z tab or with Designer Collections, depending on the items the store provides. In addition to a focus on designers, you need to provide seamless navigation so your shoppers can easily find the brand or exact item they’re looking for. Check out Net-a-Porter for a good example of a comfortable layout. 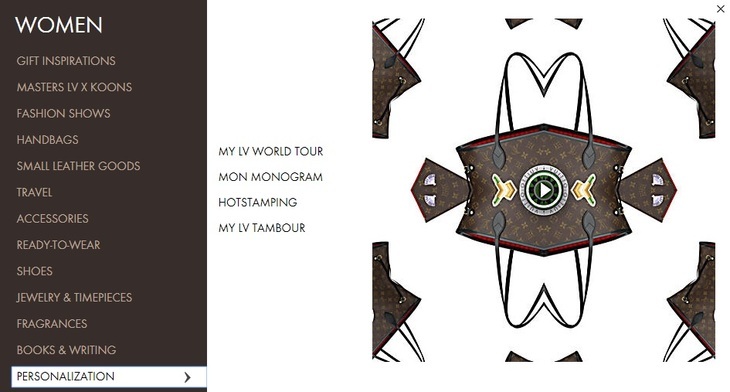 You can see a great example of compact yet detailed product information on the LUISAVIAROMA website. Another thing that we need to pay close attention to is each item’s description. Online, a product should be described as a good consultant would describe it in the store. Avoid including mundane phrases about products. Content about products must be unique in order to convey the exclusivity of each item, highlight the benefits of each feature, and connect with your audience. To show your customers exactly what a product is like, you need more than just an image. To better inform your customers, you can offer a 3D product visualization or a video demonstration. Considering that 69% of luxury shoppers surveyed claimed that they prefer to shop online solely because they want to see and touch the product, the best way to change their minds is to enhance how items are presented on the web. A 3D or video demonstration of a product provides a better sense of how it looks and even feels in real life. Make sure to display an item from every angle and take it further by doing close-ups in order to convey texture. For clothing, it’s basically a must to show how it looks on a person. If an online store visitor gets to the shopping cart, it’s already a small victory. But some effort is still needed to get a shopper to proceed to checkout. At this stage, the customer has either finished browsing products or wants to check how many items are in the cart and estimate how much more they can afford. 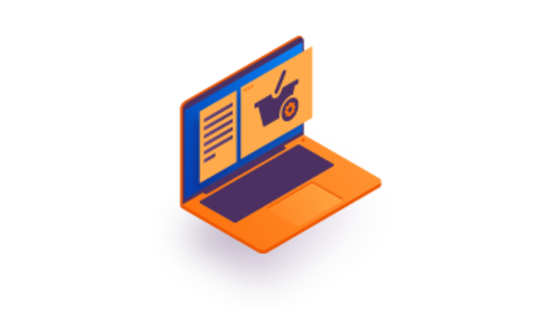 A great shopping cart should be a checkpoint that provides a customer with all the information they might want to know before proceeding to checkout. 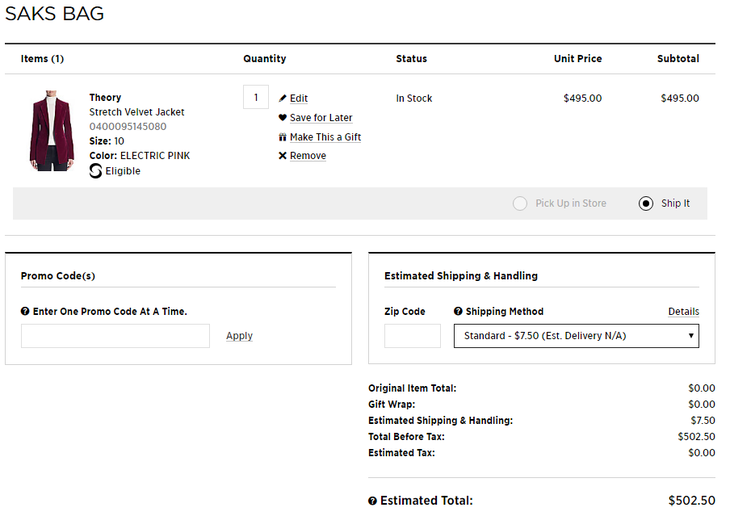 You can check out an example of a great shopping cart on the Saks Fifth Avenue website. It has everything in one place and all information is displayed cleanly and precisely. The payment stage of the checkout should be as quick as possible because this is when customers can still change their minds. If they have to enter too much information, they might feel inconvenienced and abandon their cart. 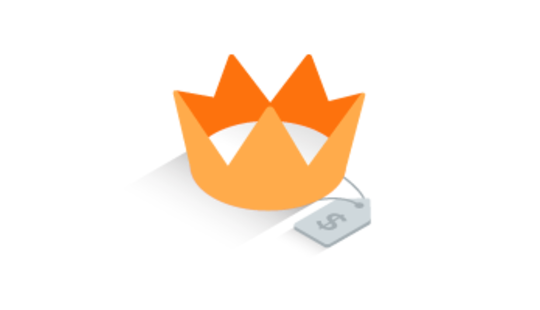 With luxury shopping, the value of items is substantially higher than for average online shopping. As a result, there are more financial and security risks, and so high-end customers expect the most secure payment process possible. A luxury store should provide all possible payment options, including by credit card and via online payment platforms such as PayPal, Apple Pay, and Google Wallet. 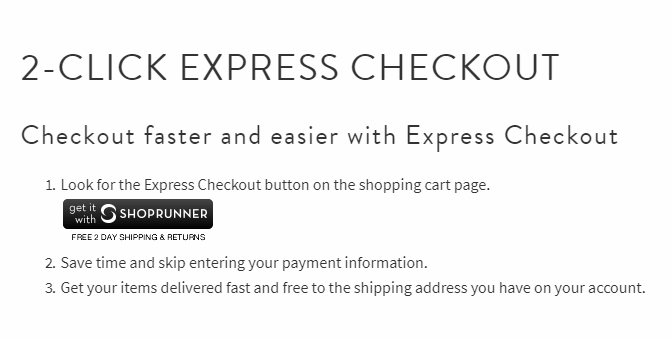 One popular option for express payments is Shoprunner, a service that handles customer financial information and already works with many ecommerce stores, including luxury brands. With Shoprunner, shoppers can pay in only two clicks. With luxury items, the stakes are higher and customers want to be constantly updated on their order status so they can keep an eye on their items until they’re delivered. Providing order tracking can build a sense of security and trust in a brand. The more statuses you add, the less confusion the customer will feel while waiting for the delivery. Consider including such statuses as order confirmed, processed, shipped, at the distribution point, and delivered. Letting customers view details of the exact time and location when an item received a new status is always a plus. When your customers create personal profiles, it gives you a signal that they’re in it for the long haul and aspire to be more involved with your brand. There’s no better way to get all the information you need about a client and build loyalty than by giving them access to their own little space in your store. Upon registering, you can include a questionnaire to get to know your new customers better. 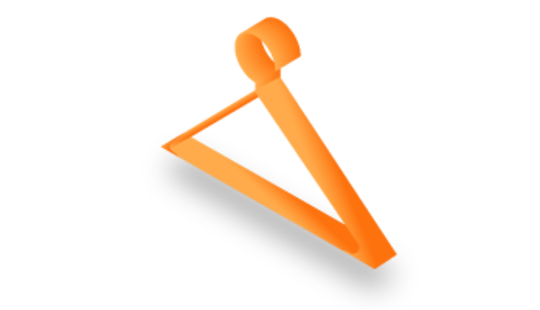 Based on the information received, including style preferences, body measurements, and preferred designers, you can generate a suggested list of items as frequently as needed. Letting users sign up via Facebook will give you access to additional personal information. 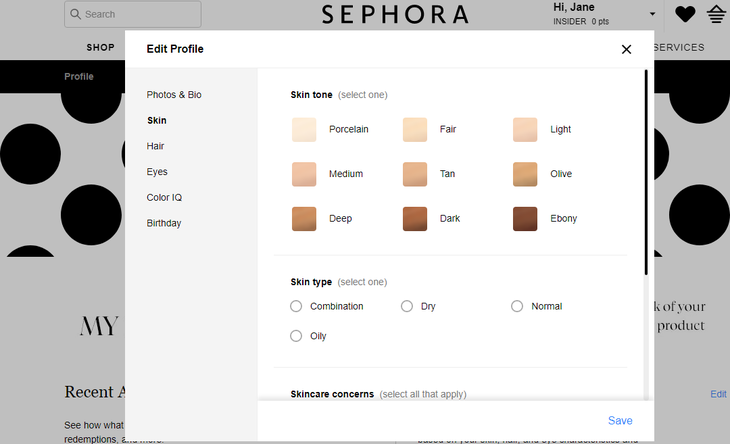 The French cosmetics chain Sephora suggests that new users fill out a Beauty Traits form, which asks for details about skin and hair. Later, a customer will be offered products that are ideal for them. 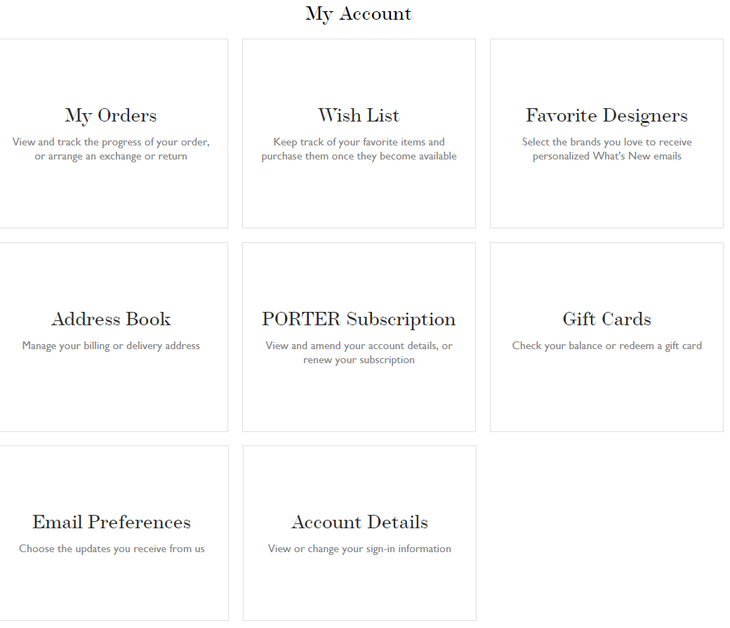 There are no limits to what can be included in a customer’s personal profile, but some essentials include order history, wishlist, shipping information, rewards points, and favorite designers (a must for a luxury store). 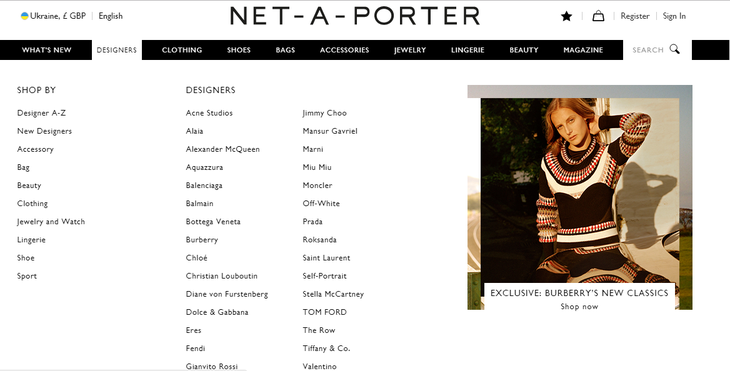 Net-a-Porter offers a great example of how to do customer profiles. When accessing their account, customers can see a wide variety of sections where they can personalize their shopping experience and make it more comfortable. Have you ever browsed through a store and found things that you’re dying to buy but either can’t afford at the moment or simply want to purchase later? In such cases, it’s extremely helpful to save these products so you can return to them without needing to search through the entire store again. Customers should be able to add items they like to a wishlist, which also can be used as a waiting list if a particular size or color is unavailable at the moment. Consider providing an option to categorize wishlist items for easier navigation, as the Mytheresa store does. While picking an outfit, shoppers often look for suggestions about what would go well with the items they’ve already picked out. For luxury clients, suggestions can be even more effective, since luxury shoppers are more inclined to purchase several items from the same collection or to complete the set. A list of related items can include similar products, items by the same brand, items from the same collection, or complementary items such as branded key chains and bag charms that have been preselected by the store’s stylists. By listing suggestions for customers, stores can increase their conversion rates as well as encourage customers to shop more. It’s best to put some thought into exactly which items will be displayed under each product to encourage further browsing. Sometimes when customers are visiting a store they’re not exactly sure what they’re looking for, but most likely they have an idea of what they need. To help customers navigate the catalog, every ecommerce website has a search option that’s enhanced with filters. To simplify the customer’s hunt for the perfect item, you can provide a wide variety of filters. For the most part, shoppers are spoiled with an abundance of creative marketing messages. Every brand knows that they need to stand out and catch attention. The main task of luxury stores is to convey their uniqueness to their customers and make each and every one of them feel like they’re part of an exclusive community and at the same time feel individually catered to. So how can a luxury brand communicate its message openly without losing a sense of exclusivity? Let’s review several strategies that can help. When luxury brands were just emerging on the market, it was possible to have a one-of-a-kind product. But in today’s market, even high-end items can be mass produced or at least released as limited editions. Nevertheless, it’s possible to offer your clients the opportunity to personalize products. The option to customize an item not only conveys the willingness of a brand to serve their customers in any way possible but also lets customers exercise their own creativity. The collaboration that comes with customization can enhance a customer’s sense of loyalty to a brand. For example, luxury retailer Louis Vuitton offers the option of monogramming or hot stamping their items in whatever way customers desire. It takes a lot of work to come up with something that your competitors haven’t thought of yet, but once you have something original to offer your clients, you’ll see the benefits. This is where your creativity can be used to the max. Think about the portrait of your target user, their needs, and what interests them and drives them, then build your unique offerings around how you can meet those needs. Luxury watch rental service Eleven James offers a membership experience – subscribers receive high-end timepieces to use for a few months at a time. For many shoppers, this takes away the burden of choice and adds variety. Another example of exclusive offer is Sephora, which provides a wide variety of luxury brands. 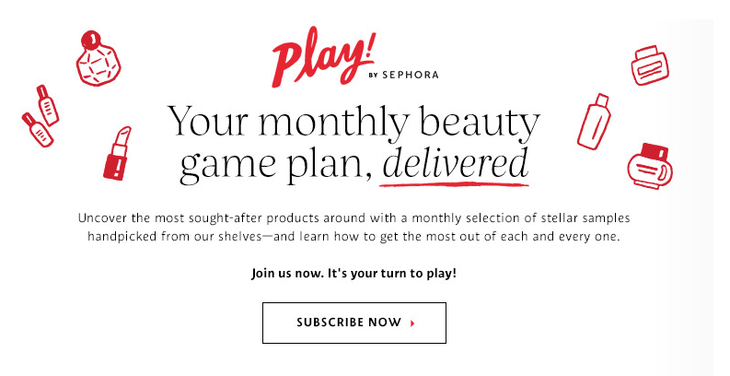 Sephora offers a subscription box, which is essentially a potpourri of items that customers receive every month so they can try something new and maybe discover something they wouldn’t have checked out otherwise. We’ve already mentioned the importance of unique content in item descriptions, but unique content is even more important when a store communicates with their clients. With curated content, a luxury store can have complete control of the message they’re putting across. Unique content is a great way to engage your target audience, keep them updated about your store’s collections, highlight upcoming deals, and offer tips on how to mix and match items. Luxury retailer Net-a-Porter issues a magazine called The Edit that contains numerous editor’s picks, information about existing and upcoming collections, and news about what’s trending in the fashion world. One direct way for brands to communicate with their customers is via social media channels such as Snapchat and Instagram. 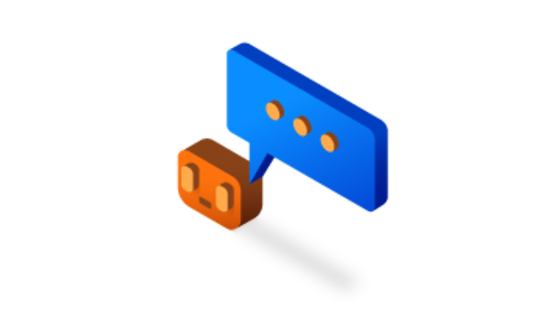 Brands can also use the latest technologies like chatbots, which allow designers to advertize their products online in fun and engaging ways. 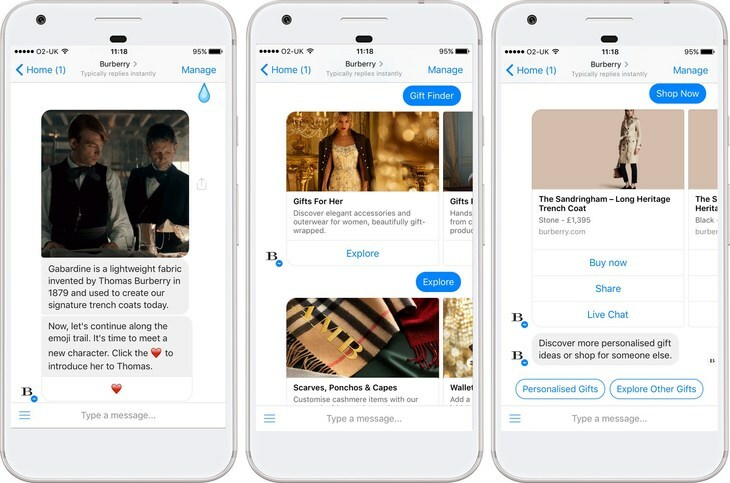 A great example of a brand that follows the latest tech trends is Burberry, with its chatbot. There are many different ways chatbots can benefit retail businesses, but the luxury brand didn’t stop there. Burberry has always been innovative with its digital marketing strategy; they were the first store to launch a Snapchat Discover Channel campaign, which was essentially a native ad that contained videos of their new collection along with interviews, articles, and style tips. With their new Facebook Messenger chatbot, Burberry has taken customer engagement to another level. The Burberry chatbot notifies customers about new collections or anything else they’re interested in and helps customers navigate the online store. A number of luxury brands including Louis Vuitton, Gucci, and Chanel are active on social media. Their aim is to promote upcoming collections by posting backstage pictures or footage of models wearing the newest pieces to spark their customers’ interest. This strategy doesn’t require tremendous effort but provides great rewards in shaping an engaged audience and getting countless mentions online. It’s important to remember that besides the usual high-end shoppers, luxury stores also see a certain share of customers who normally can’t afford to shop for pricey items. In order to make that happen, a luxury brand should avoid being pompous – in other words, luxury brands should refrain from positioning themselves in a way that scares away the average shopper. It’s best not to put down those who can visit a luxury store only once or twice a year and instead encourage them and point out that even a one-off purchase can create a satisfactory experience. High-end retailers can attract less affluent audiences by arranging major sales and actively marketing them on social media to broaden the reach. The largest discounts should be advertised so that people pay attention to the drastic drop in prices. Another option is to offer rental services. Many people are willing to rent designer clothing for special occasions. 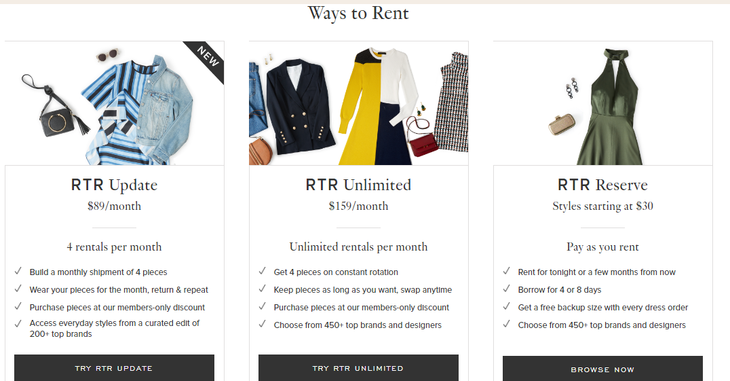 There are multiple websites that offer such services, including Rent the Runway, although luxury stores can provide this service directly. Brands can’t exist without dedicated customers. Owing to an abundance of social media websites, it’s easy to reach out to customers and carry out a marketing campaign. But luxury brands need to do something a little extra. Let’s look at several examples of how luxury stores can engage their clients. Beauty Insider Community where members can communicate, share opinions, give each other tips, and exchange their experiences with products. Apart from motivating customers to buy more Sephora products, this community is a great way to address any concerns or complaints that customers might encounter. Encouraging clients to share their experiences within an online store community is a great way to create an advanced customer support system. Another example of a company that creates a great sense of community is Burberry. In 2009, the company created its Art of Trench website based on the popularity of its iconic trench coat. The brand encouraged its clients to share pictures of themselves wearing a Burberry trench coat via social media. As a result, Burberry’s ecommerce sales skyrocketed 50% and the brand was able to substantially expand its Facebook following. Crafting a luxury experience is hard work. A luxury ecommerce site must be unique and create a sense of privilege, as this is the feelings most people are looking for when they’re either used to high-end things or are looking to treat themselves. A good luxury experience involves many steps and must be built with care and precision. Consider every point discussed in this article when creating your own unique high-end space. And if you have an idea for your own luxury store, you can always contact our team. We’ll gladly help you bring it to life.